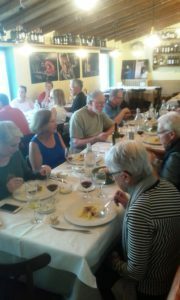 Slow Lake Como activities are exploring everything that is local and interesting, today we are glad to share more about Lake Como cooking classes and risotto. 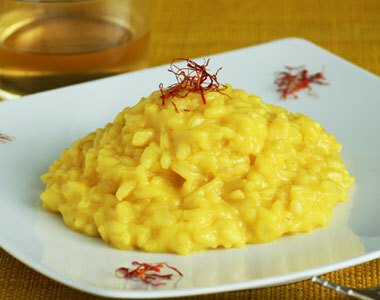 The legend says that the risotto alla Milanese (literally translated into rice of Milan) has its origins back in 1574 with the artist Valerio from Flanders and his assistant, who was called Saffron as he was used to mixing yellow with all the colors in the artistic creations of Valerio. At the wedding of Valerio’s daughter, Saffron wanted to make a joke by adding the spice saffron in the rice to make it yellow. However, the guests liked both the taste of it and its color as it was cheerful and perfect for the wedding. Saffron is the secret ingredient of the “risòtt giald” (another name of the rice in dialect, which means yellow rice). It is a plant whose flower can be light violet or purple with three red threads, from which the yellow powder comes from. This powder has also other useful applications such as in liquors and as digestive. The countries where it is grown are the warmest one such as India, Persia, Greece, and Spain but later also in Italy (Sardegna and the territory around L’Aquila). In fact, the Sforza family used saffron for their rich Milanese banquets as it was considered a symbol for material and spiritual richness, abundance, prosperity, and joy. Moreover, the yellow color is associated with immortality. It was considered such a precious spice that a half kilo of saffron was exchanged for a horse! 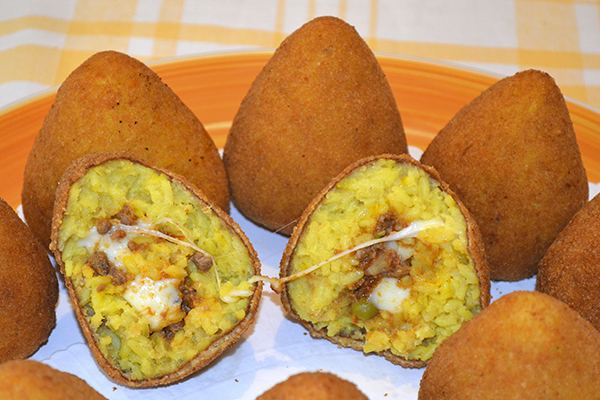 Another funny legend says that the yellow risotto is a relative of Arancini: a typical dish from Sicily. The legend is about a cook who moved from Sicily to Milan and wanted to make Arancini, but because she didn’t have all the ingredients to fill in the dish, she used the yellow rice of Milan. Here below you can find a comparison of both the traditional and the modern version of the recipe. This recipe is approved and registered with the status De.Co. in the City of Milan since 2007, which means that the dish is belonging to the territory of Milan. This recognition makes it possible to spread the risotto alla Milanese abroad but also conserving its roots. For this reason, the risotto was the protagonist at the famous exhibition EXPO 2015 in Milan. The difference between the traditional recipe and the new one is in the use of fat instead of wine: the traditional version uses an animal fat, while in the modern version the fat is substituted by the wine. 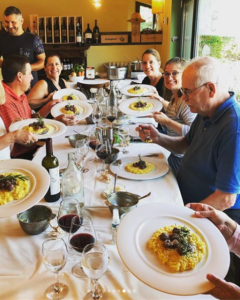 Personally I love traditions and keep things like in the past, but in this case, I am happy about the 2.0 version of the risotto using wine instead of meat fat. 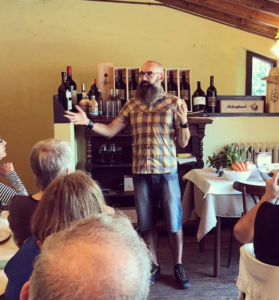 It still keeps the main ingredients with a slight modification: both modern and tasty, which aligns also with our Lake Como cooking classes’ values.